When having trouble making your Fire Stick zoom out, we have three methods here to help you. Do you need to fix Fire TV screen zoomed in? Then use this Fire Stick Zoom Out guide to get back to normal. You’ll need your Fire Stick remote for all of these processes. Fire TV and Fire TV Stick are devices from Amazon that connect to your HDTV, giving you extraordinary entertainment choices. Right now, the Fire TV is the most popular way of enjoying a large variety of TV shows and movies. Enjoy over 250,000 episodes of your favorite shows with apps for Netflix, HBO NOW, and Hulu among many more. You can also enjoy music and even games on your Fire Stick or Fire TV. If you install Kodi on your Fire TV or Fire Stick, the world opens up to you. You may go forth invisibly and do no harm with unlimited entertainment at your disposal when you pair your Kodi Fire device with a VPN. The best VPN for Fire TV and Fire TV Stick owners is IPVanish, and you can get it for 60% off right here. That comes to only 4 dollars and change each month for the most secure VPN available anywhere. Among the features of Amazon Fire TV and Amazon Fire Stick is a unique “Alexa” voice search feature. While the Alexa feature is not necessary to turn magnification on or off, I just think it deserves special mention. Alexa is a cloud service that allows you to simply use your voice to ask for a movie, TV title, actor, genre, or even director that you want to watch on your Fire TV or Fire TV Stick. Your voice request is processed in the cloud, then the search results will appear on your screen. Looking for a lost Firestick remote? Get a new one from Amazon (without voice) for $15. Or get an Alexa Voice Remote for $30. But if you go that route, you might as well buy a brand new Firestick WITH Voice remote for $40 from Amazon. Then, there is the expandable USB storage and a fast quad-core processor. This processor allows the users to play their favorite and best-selling games like Crossy Roads, Minecraft, Game of Thrones, and much more. You don’t have to wait for your favorite shows or movies to buffer, either. You get to know about your favorite shows and movies so you can enjoy them right away! Moreover, Fire TV allows you move your favorite apps so that the small screen can be freed for other uses. Or simply mirror your tablet or smart phone to your TV, which can be accomplished by using the “Mirror my screen” feature on a smartphone. People who subscribe to Amazon receive unlimited access to the most popular TV shows and movies. With the Prime Instant Video service, you get the HBO collection as well as the original TV shows along with Prime Music are all included. I seem to have a problem with tangential thinking. Let’s get back on track and get your Fire Stick zoomed out for you. However, there is an unfortunate mistake at the Amazon end of things. Amazon removed the ability to adjust the display size on the screen, so users cannot effectively make their Fire stick zoom out. If users navigate to the Settings area of the Fire TV home screen, then “Calibrate Display” appears. But there are no “Press up and down screen to zoom in and out of visible area” prompts upon selecting that option. Users see only static arrows displayed, with a message advising to adjust zoom or overscan in the TV settings. If your TV is not displaying the entire Fire TV output, then you’re in luck. Not quite certain how to make your Fire stick zoom out? 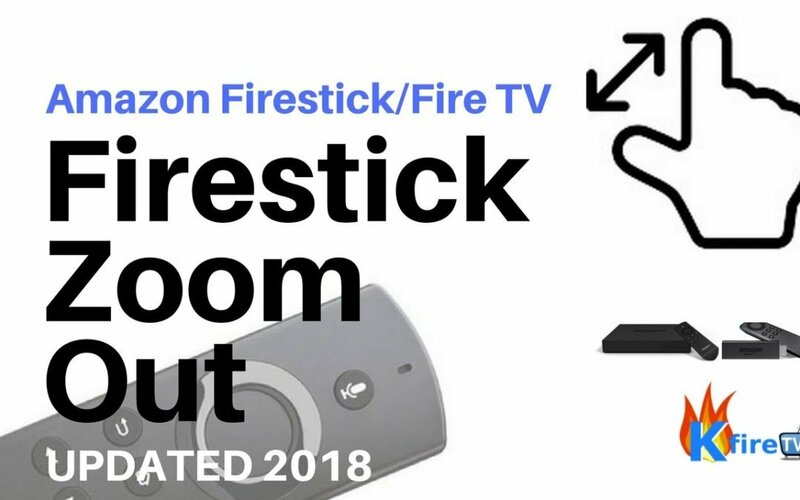 Don’t worry, as this tutorial shows how to adjust the zoomed in Fire TV screen to make the Fire stick zoom out with the Fire TV remote. Sometimes, the most well meaning of features can change things up, then leave you hanging high and dry. The Fire Stick zoomed in feature is there for people with bad eyesight or wanting to see tiny details more clearly. Pause; zoom; look at the spinach stuck in Miley’s teeth; zoom out. This can be handy when you need or want it. If you don’t, you may do it accidentally anyway, then wonder what just happened and why. An orange frame or outline mysteriously appears around your TV screen as the bottom two panels in the above image illustrate. You’ve almost certainly hit the menu and play buttons on your remote at the same time. This is the combined keystroke for zooming in when the Screen Magnifier is turned on within the Accessibility settings. Let’s get you squared away if this is the case. The quickest way to turn the Screen Magnifier on or off is by holding the Back (not Rewind) and Fast Forward buttons down at the same time. Please have patience while holding these both down, as it takes 3 to 5 seconds to switch. 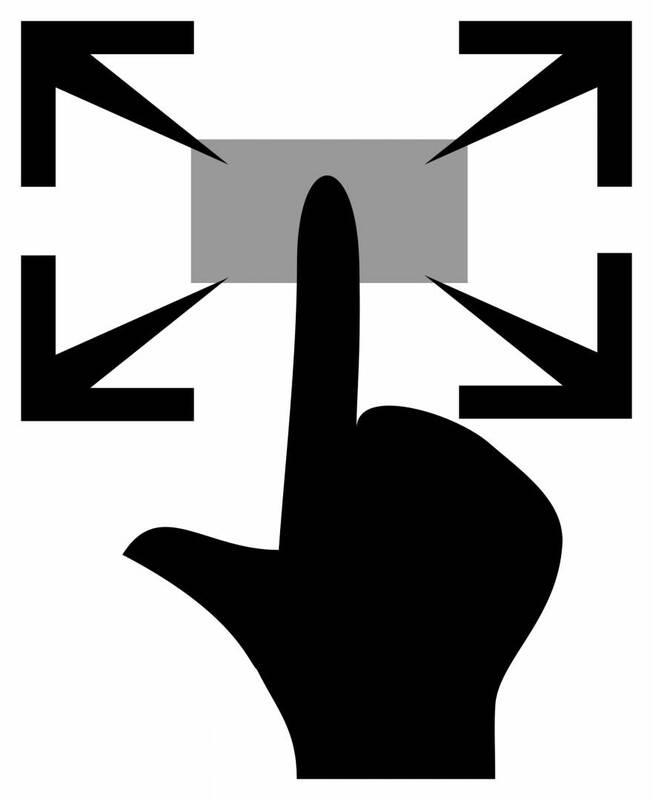 If you wish to simply toggle the Zoom feature on and off while the Screen Magnifier is enabled, then while holding the Menu button down, press the Play/Pause button. To zoom in and out, hold down on the Menu button, then tap the Fast Forward or Rewind button. To Pan while zoomed, hold down the Menu button, then use the ring button to pan up, down, left, and right. If you don’t happen to have your Amazon remote controller at hand, don’t fret. You can navigate to the Screen Magnification setting located in Settings > Accessibility, then simply toggle it off (or on, as you wish). First of all, go to the far right in the top menu to Settings on the Firestick home screen. 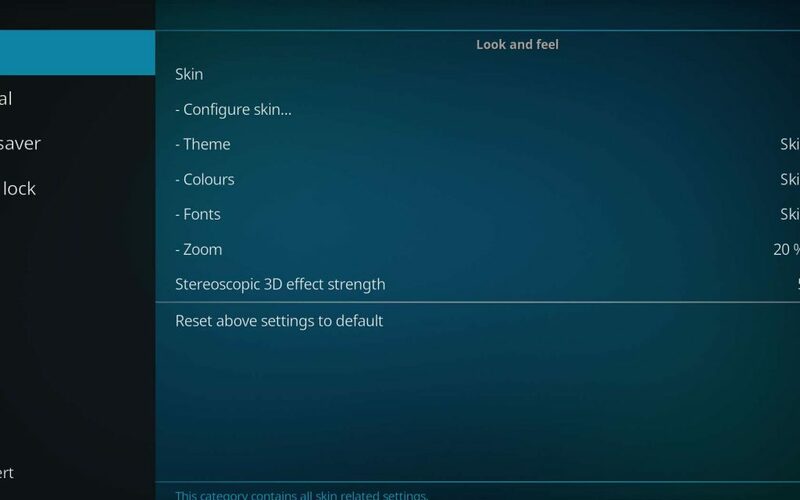 Now, select Display and Sound within the Settings menu. Select the Display item in the Display and Sound area. Choose the Calibrate Display option within the Display menu. 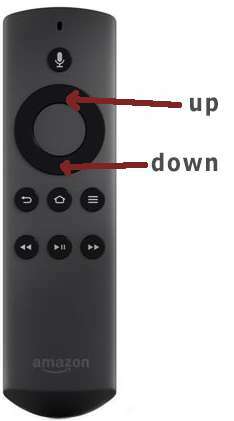 Then, use the top and bottom of the Fire TV Stick remote control’s ring button to adjust the image size on the screen up and down until it takes up all of the screen without any of it disappearing. This should fix the issue when things appear offscreen. Don’t fret if either the horizontal or vertical adjustment doesn’t make it to the edge. If you have either the top and bottom or the left and right flush to the edge with nothing disappearing from the screen, you are good to go. You can reset and start over again at any time by undoing. Next, select the Accept option to apply these changes. Return to the home screen of your Fire TV or Fire Stick. You’ll hopefully see that this Fire stick Zoom out was a successful fix. If neither of the above methods did the trick for you, and you experience the problem only in Kodi, then this last method just may be the winner. A long shot ranks above no shot at all, eh? For Kodi, follow the directions below to fix Firestick Accessibility Zoom. 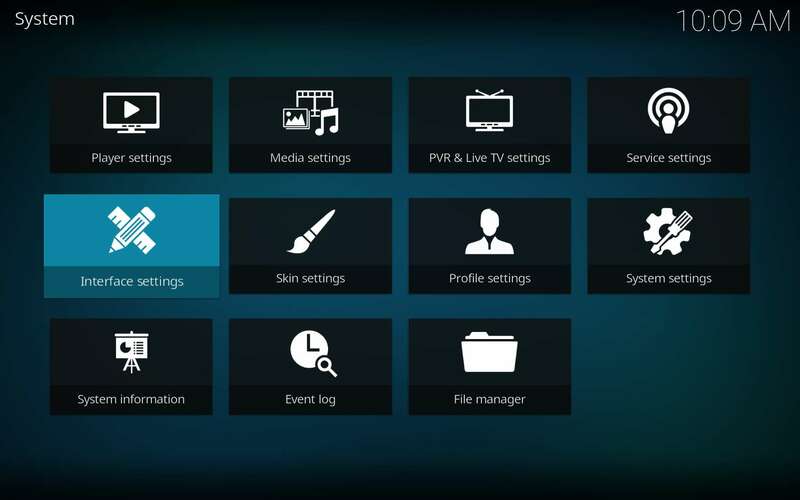 To start, go into the Settings (gear icon) on the Kodi home screen. Even zoomed in as far as Kodi will go, you can just make out the gear icon in the top left corner. 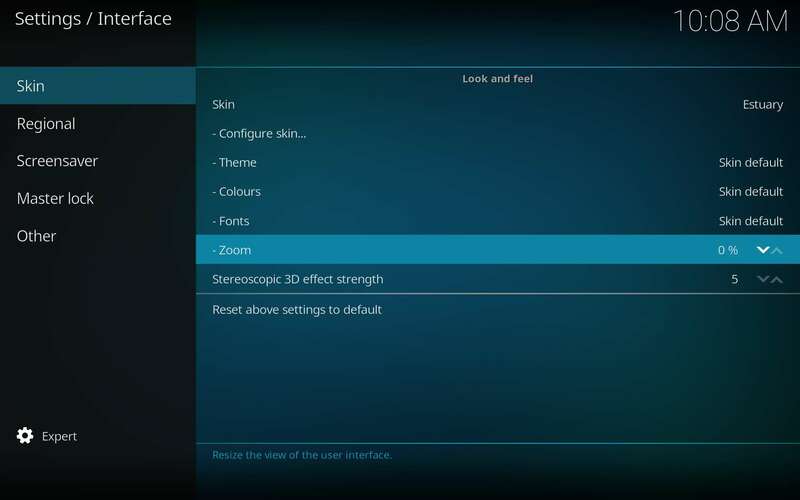 Then, choose Interface Settings within the Settings menu. Now, you may only see the Zoom item on the right with no number or up/down arrows. That’s okay; select Zoom. Use the center button in the ring to adjust it. If it zooms in farther, don’t fret. Either tap the left or right side of the ring once to enter zoom out mode, or just keep going. It will get to 30% magnification, then stop getting more zoomed in as it jumps to -30% magnification. The setting cycles around. If you just keep going, then you’ll see what I mean. Once you reach 0%, you have a full view again. If you had trouble with this process, or none of these methods worked for you, please feel free to ask questions or let us know in the comments. You can also check out the official KFire TV YouTube Channel. You’ll find answers to this along with a lot more tips and tricks for your Kodi Firestick! 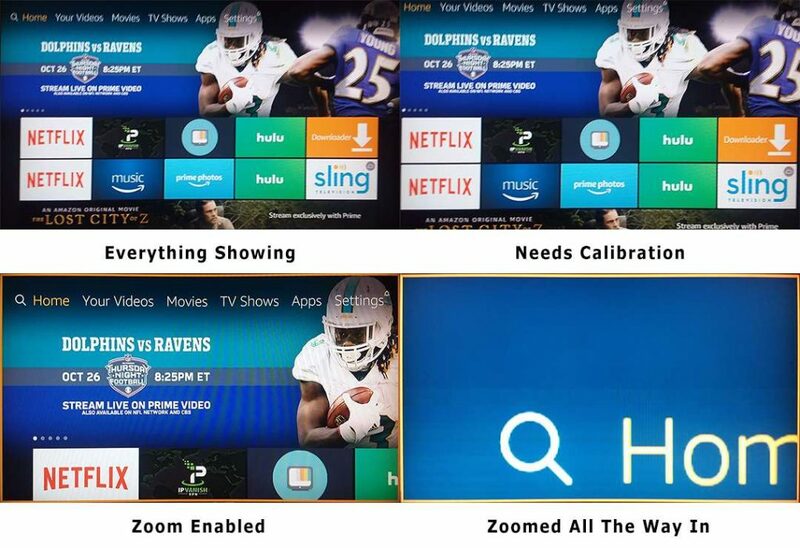 Fire Stick Zoom Out: How to Fix Fire TV Screen Zoomed In: 1) Go to Settings, 2) Select Display & Sound, 3) Choose DISPLAY, 4) Select "Calibrate Display"
In following the steps outlined previously I remain without the possibility of zooming into my flat screen Sansui and the Fire Stick2. What makes matters bad is that I am a 1st time user of the system and I am missing many and most of the instructions on the screen for the different Apps that come with the Stick. I joined your Web Site earlier today, and there I did not find any threads or posts related to the problem I am currently experiencing. Hey Jano, sorry for the uber-late reply. I really hope you already figured this out. If not, I’m currently updating the article to explain more about the zoom functions for those who end up here in search of that. My firestick recently automatically “updated” itself , now I have a yellow border around my t.v. screen and is over-magnified…. the calibration setting just made screen smaller but magnification and yellow borders are still shown….. Help!? Hey David, sorry this reply took so long. I hope you got this worked out. I’m updating the article at this time to help with this issue. It’s simply an accessibility feature, that if unknown, can cause problems when turned on. This did not work at all. Sorry to hear that! Did you get it to work yet? If so, can you tell us what worked for you? Thanks! Go to accessibility and remove turn off screen magnifier, this worked for me . Thanks, Chris! Updating the article now. This worked for Me! The other one under display didn’t work at all, just popped up with a message saying it was my TV. Thank you for your help in getting my Fire TV off of zoom. This did nothing for us, because our Fire Stick was “zoomed” due to one of our children pushing the play and menu buttons on the Fire Stick Remote simultaneously. This is a shortcut to set Screen Magnifier on and off. When it is on you will have an orange border around your screen and will only see a portion of the Fire Stick screen. You can turn this feature off permanently via the Accessibility menu in Settings. Hey Sarah, thanks for bringing this up! I’ll update the article to let everyone know about this potential problem/solution. My firestick has no up and down buttons for calibration. Hi Kevin, the up and down is controlled with the top and bottom of the ring. Thanks for bringing this up. I’ll change the article text to make it more clear. What if we dont have the Alexa fire stick? Hey Kyle, the Alexa feature isn’t necessary to follow the procedure to zoom in and out or to turn magnification on or off. The earlier remote will work just fine. I dont have the Alexa voice on my remote and it is zoomed in with orange border… and also I cant move left or right or go home to menu. Hi Joe, you don’t need the Alexa feature to turn magnification on or off. I’ll update the post to make that clear. Thanks! Thank you, thank you, 1000x’s thank you! I unknowingly did the zoom in thing and no idea how to get rid of it until I read this! Did I mention thank you? Hiya, Stefanie! You’re welcome a gazillion times over! very helpful thanks. after using my girlfriends android phone somehow I zoomed in and its been a week now. thanks for the 2 second fix.. Thank You, Couldn’t find the zoom fix on my own, You fixed me right up! Thank you for this article!!!! We were so happy to get our tv zoomed-in-yellow-framed picture taken care of!! Thank you!!! Thank you so much. My fire stick was zoomed in and I spent hours messing with settings on the TV and the fire stick. I am not tech savvy and I would have never figured this out on my own. This was really useful thank you. I was struggling with a partially zoomed in screen and no matter how many fire stick restarts or attempts to change the picture size via the tv remote I couldn’t get the screen back to normal size. I followed your advice and held down the back button and the fast forward button together for 5 seconds and it resolved the issue. I am very grateful to you for taking the time to publish this guide. This was great! Thank you for your help! Thank you the orange rectangle is gone! Thank so much! I clicked on a few sites befor this link on google trying to fix dang problem! They all said “fix your tv settings” 10 seconds into reading your page and problem was fixed! Accessiblity – Zoom was turned on (probably by my kids) so glad I saw this page before hours of googling, videos, and hours on the phone with amazon!!!! Thanks again!! you guys need to tell the people there is a way to zoom out. we were going crazy … you press the back button (u-turn sign) and the fast forward button (2 arrows going to the right) and hold it at the same time for 15 seconds or until the screen changes. You just described the first step of the article’s first method, which enables/disables the magnification feature using the Firestick (Fire TV) remote control. I thought the picture highlighting those two buttons would be a dead giveaway, but I’m glad you got it figured out. Thanks for chiming in! This kept my 8 yr old son from throwing the iPad through the tv. Our “remotes” are downloaded onto our devices (iPhones & iPads.) So once in awhile we accidentally ZOOM IN on the tv screen, which is very frustrating when you don’t know how to zoom OUT! Holding the back button and fast forward button (for at least 5 seconds simultaneously) took our screen out of “zoom” mode. Thank you so much for this informative article! You just made my day, so happy this worked been trying for months and gave up. Thank You! Thank you! I accidentally hit a few buttons on my remote, and then wasn’t able to read anything about this screen magnification being turned on, or get the remote to work at all. Was about ready to set it to the factory default after new batteries and playing with the TV picture settings for awhile. You da man!!! This helped big time! Thank you for posting!